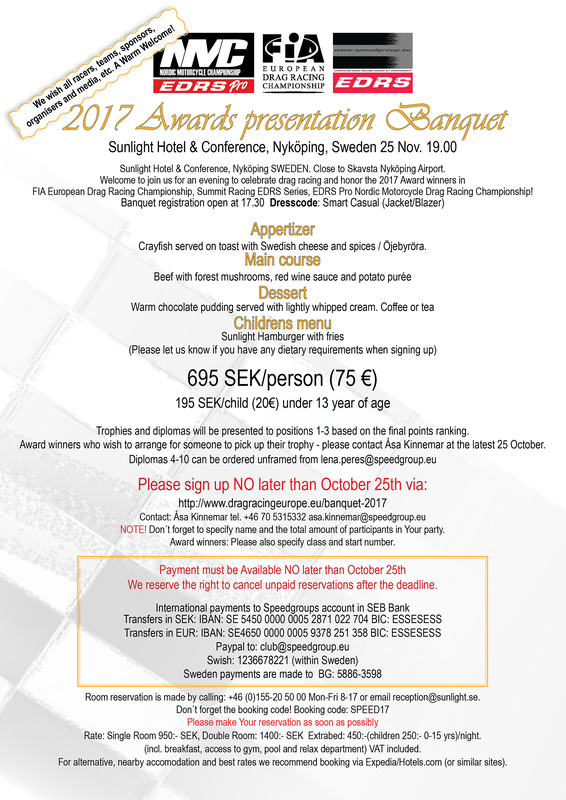 Invitation to 2017th banquet and awards presentation for the FIA European Drag Racing Championship, Summit Racing EDRS Series, EDRS Pro Nordic Motorcycle Drag Racing Championship. Book the 25th of November at Sunlight Hotel & Conference in Nyköping. Everyone in our dragracing family is most welcome to this event! Read the invitation closely as al information about the event is to be find there.